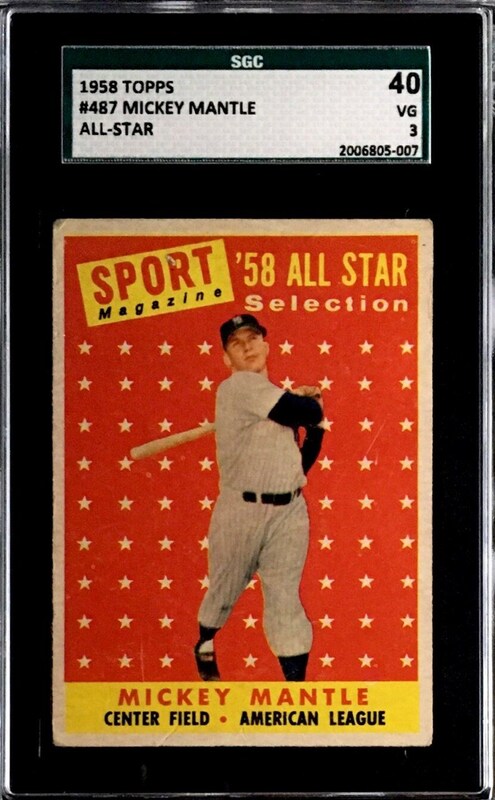 Up for your consideration is a 1958 Topps #487 Mickey Mantle All Star card. 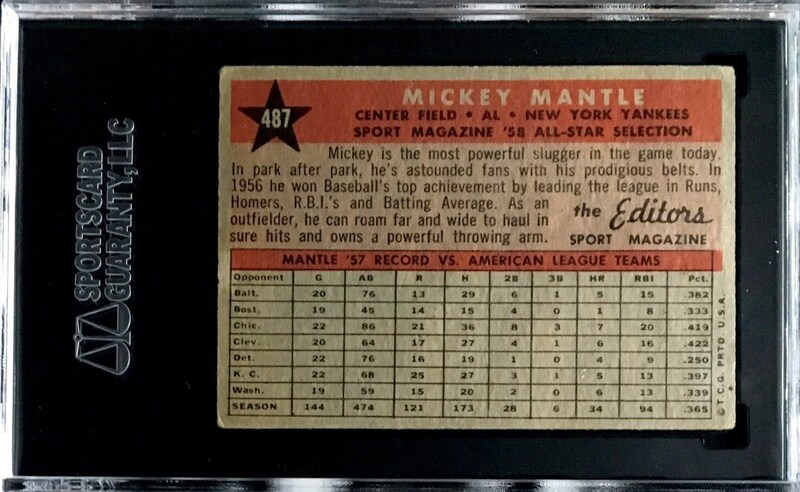 Mickey hit 536 career home runs and was known for his prolific power. He is pictured here in the height of his career. The card has been graded an SGC 40.